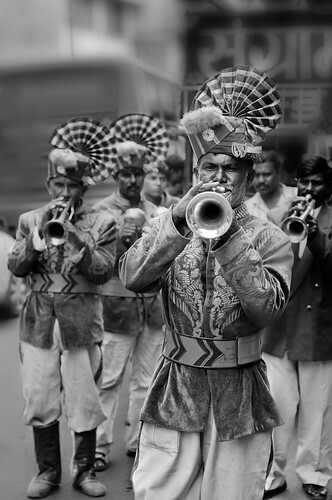 The Pied Players of Narayan Peth - Fanfare for the Pageantry of Ganesha Immersion, originally uploaded by Anoop Negi. Happiness is not a choice, but rather a result of choices. It seems to me that the only way to find ourselves enjoying this great blessing is to stack up thousands of tiny, nurturing choices throughout our daily lives.